Canadianhistory.ca features the historical works of more than 140 leading Canadian scholars written for a general audience. All content has been peer reviewed by an editorial board of leading anglophone and francophone historians. 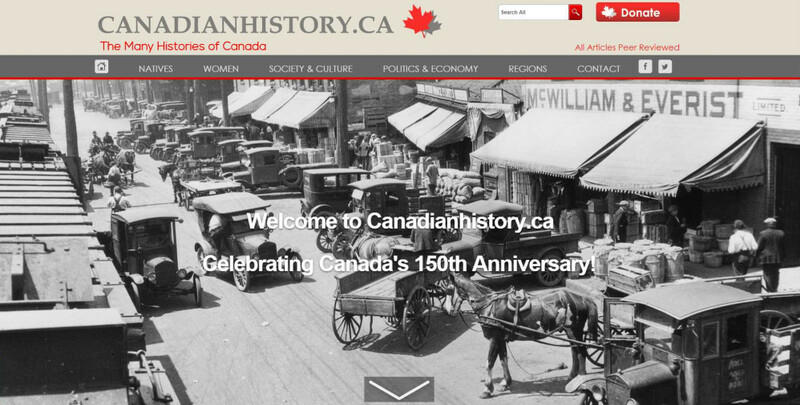 The website, which is still under development, is a major addition to our nation's online Canadian history resources. 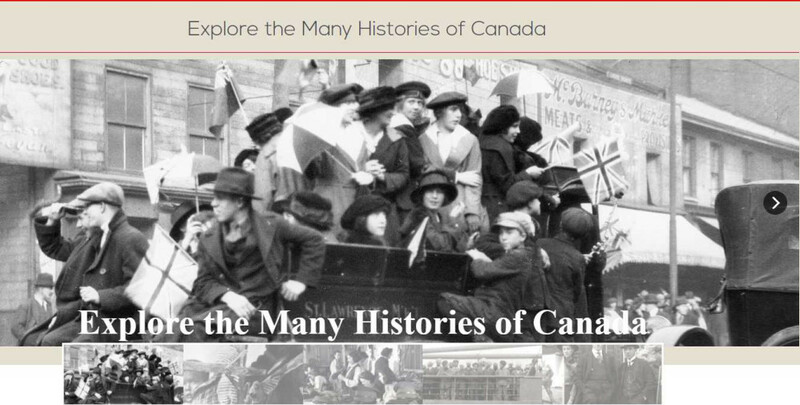 Canadianhistory.ca is a multimedia history of Canada intended for general audiences. The tagline for the website—The Many Histories of Canada—attempts to capture the multiplicity of understandings that make up our understanding of Canadian history. Each narrative is written by a leading expert in the field and features a comprehensive timeline describing the who,what, when, where, and why of important events in our history. 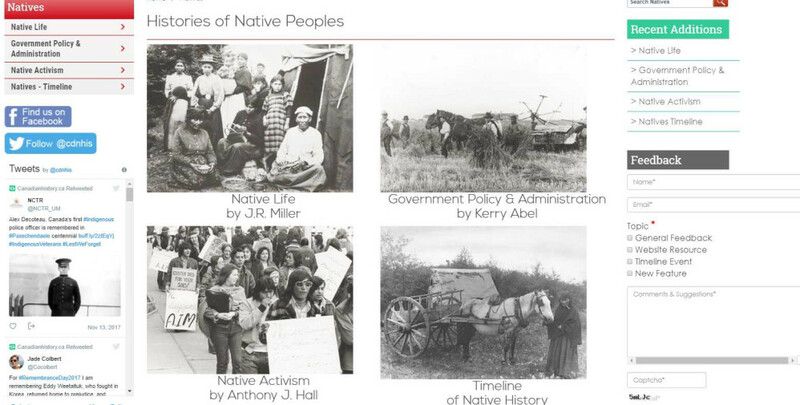 Accompanying the 5 narratives of Canadianhistory.ca are more than 120 case studies that offer detailed investigations of major issues in our history. Canadianhiistory.ca is generously illustrated with more than 1600 historical images (including hundreds of specially selected cartoons and dozens of rare panoramas), hundreds of maps and graphs, and sound and film clips. We hope you will subscribe to Canadianhistory.ca's social media channels. In the coming months, Canadianhistory.ca will integrate more and more online resources, adding to its value as a foundational work for the general public and all students of Canadian history. Canadianhistory.ca was originally launched as a CD-ROM/Web publication called Canada, Confederation to Present. It was also Chinook Multimedia's first project and was created with the financial assistance of the Department of Canadian Heritage/Patrimoine canadien and Telefilm Canada. The University of Alberta provided crucial logistical support during the more than two years we worked on this massive undertaking. We certainly could not have succeeded without this generous support. 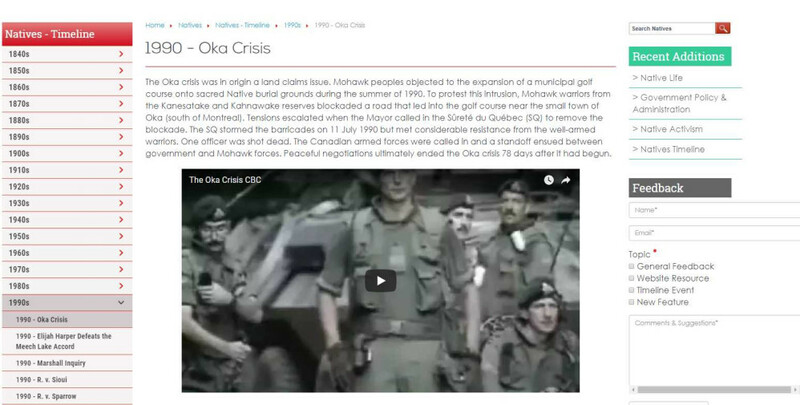 Chinook Multimedia has invested thousands of hours of labour to prepare Canadianhistory.ca's content and build the website. We hope you enjoy the result and look forward to your feedback..